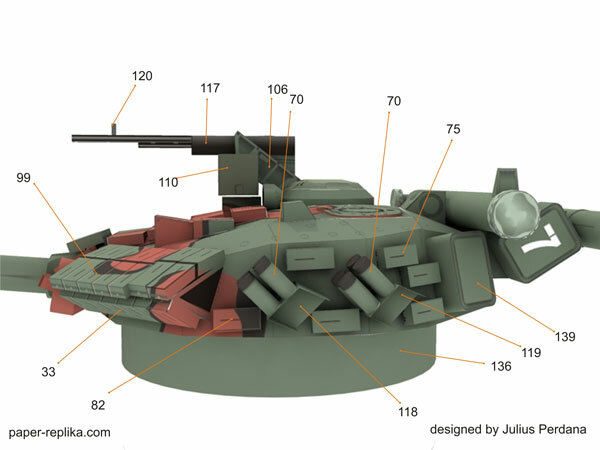 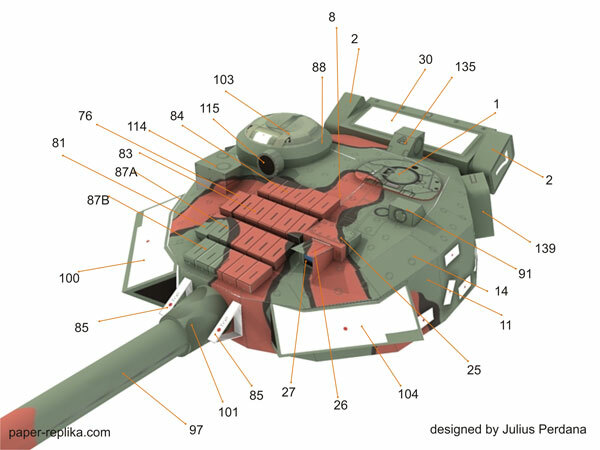 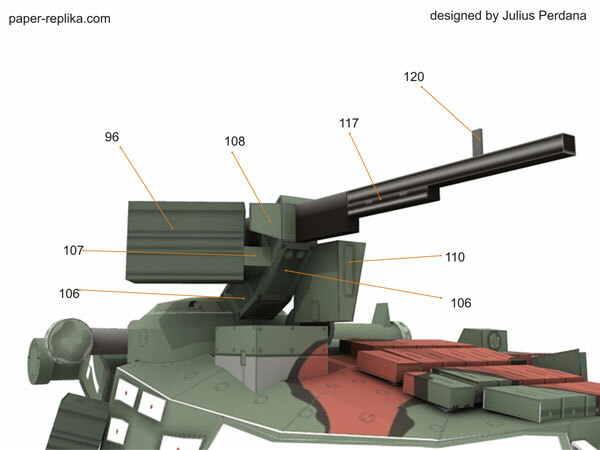 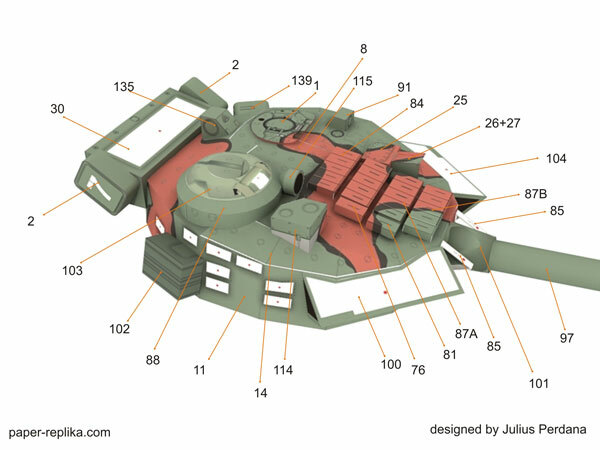 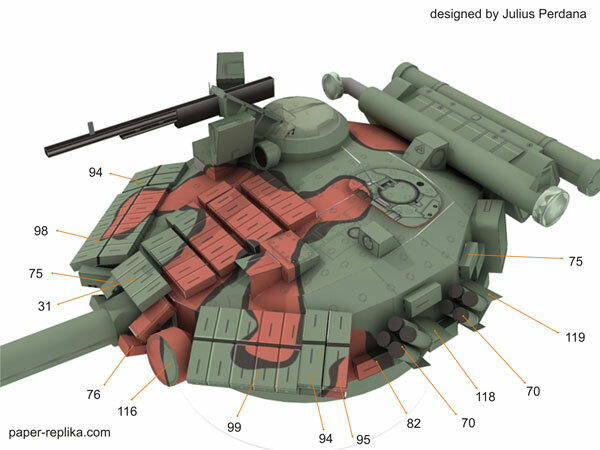 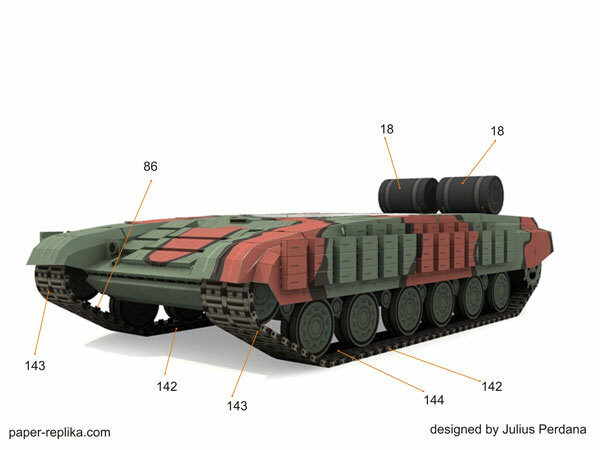 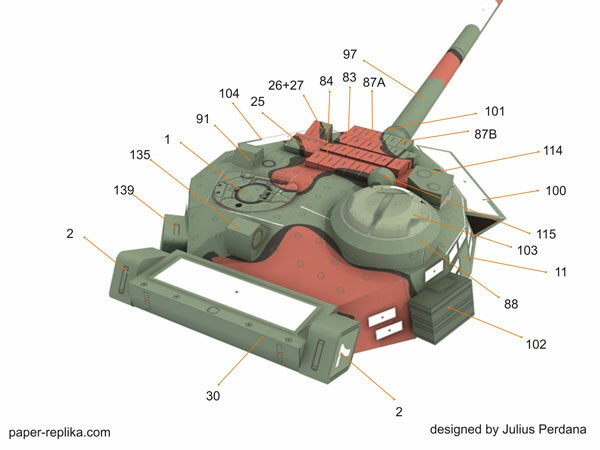 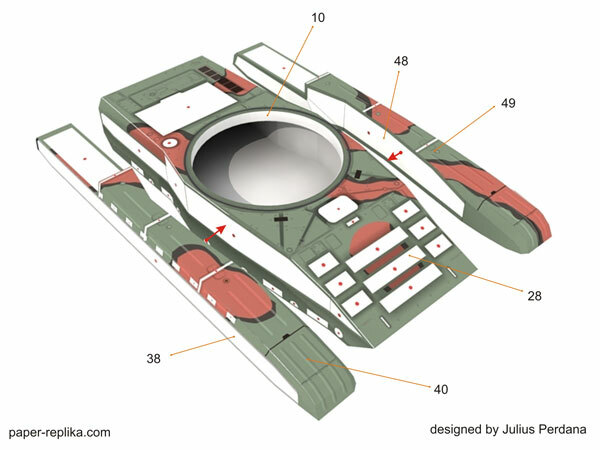 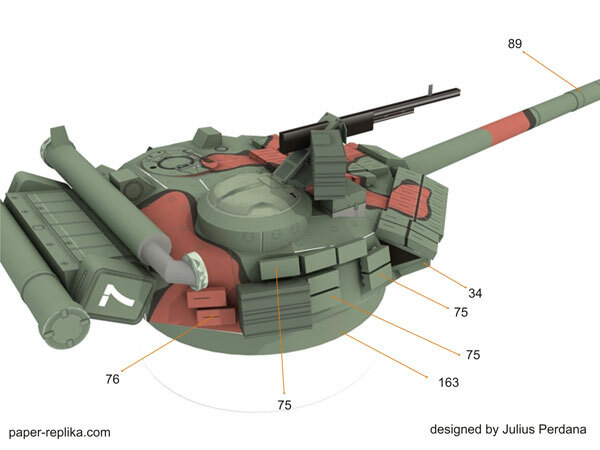 T-64B Russian Main Battle Tank Papermodel	. 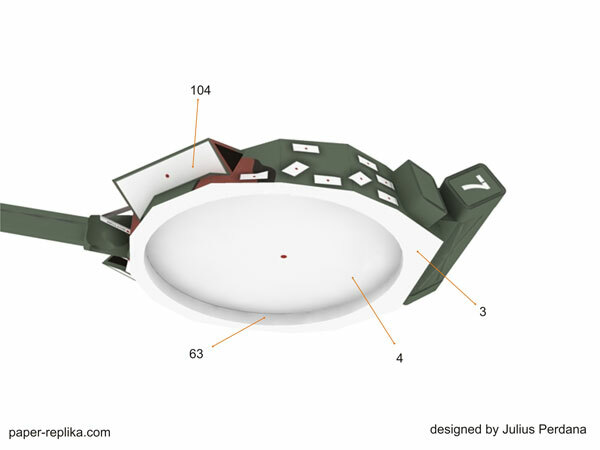 This model onced a commercial paper model from my first site julescrafter.com now I share it for free. 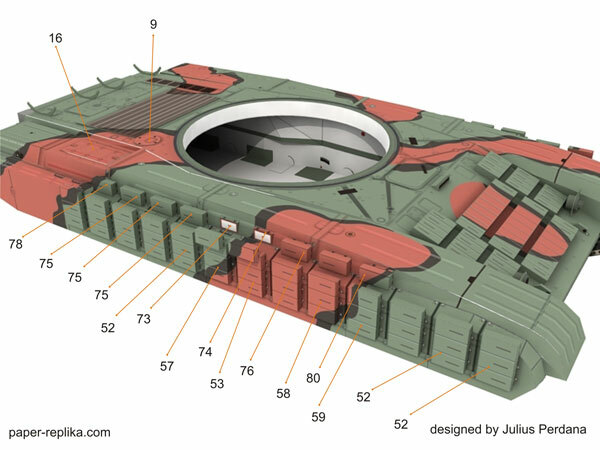 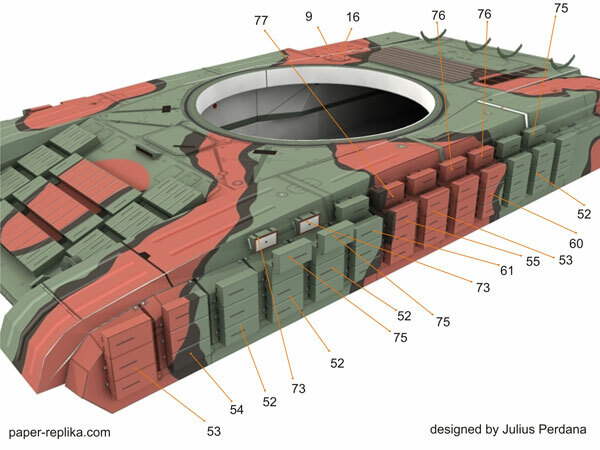 The original patterns was in 1:43 scale I just finish resize it into 1:35 scale which bigger in size. 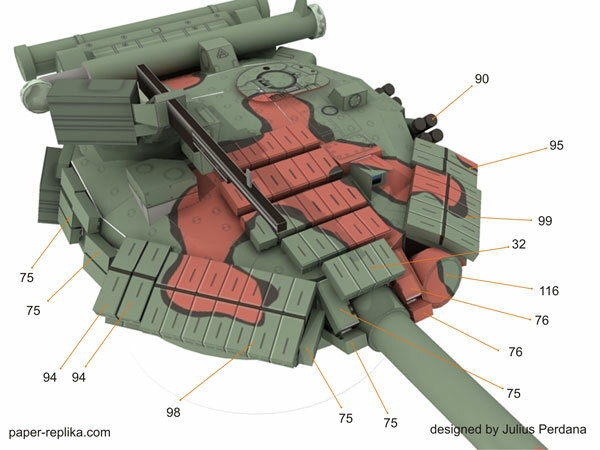 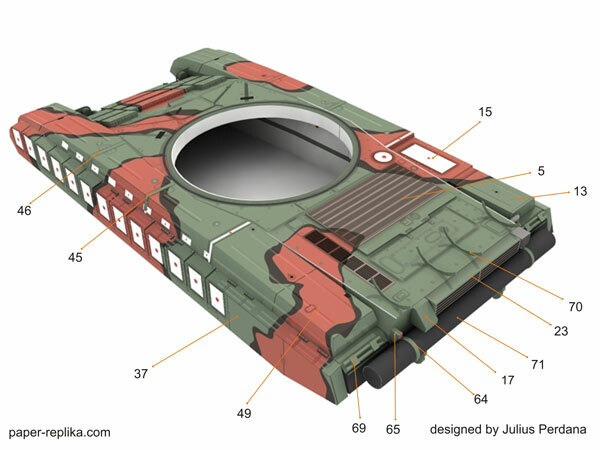 This russian main battle tank paper model is one of the toughest model I ever create, because of the numbers of overlapped camo texture to finish. 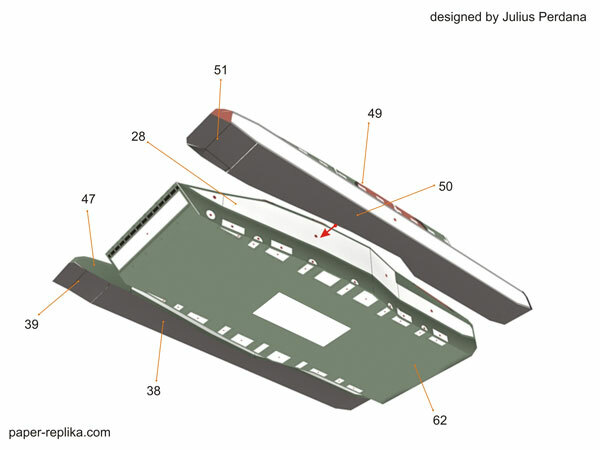 The design team was carrying on its work on new versions. 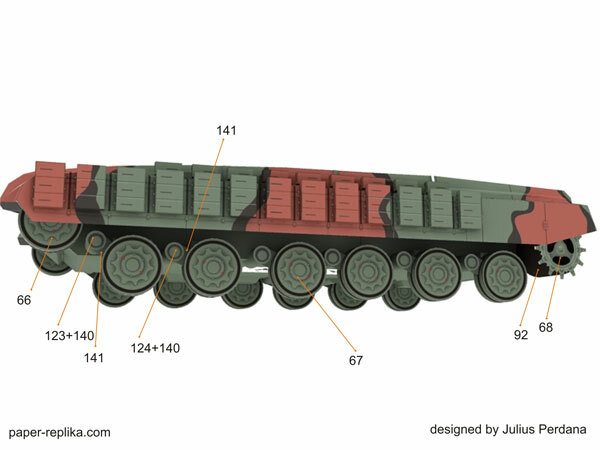 Problems with the setup of the 5TDF engine occurred as the local production capacity was proven to be insufficient against a production done in three factories (Malyshev in Kharkov, Kirov in Leningrad and Uralvagonzavod). 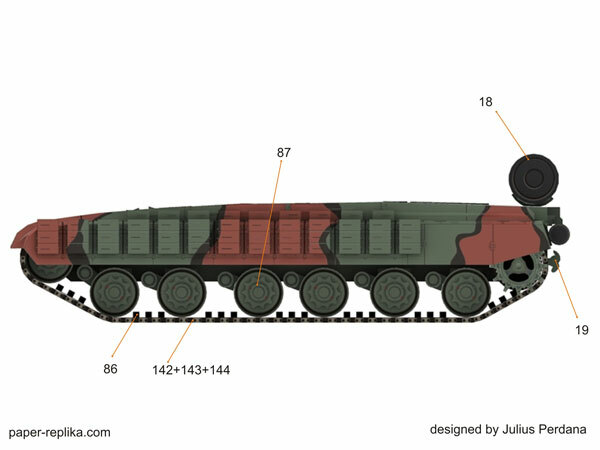 From 1961, and alternative to the obyekt 432 was studied, with 12 V-cylinder V-45 engine : the obyekt 436. 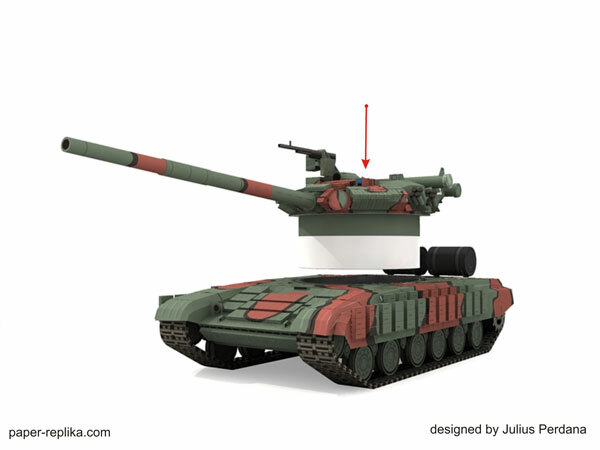 Three prototypes were tested in 1966 in the Chelyabinsk factory. 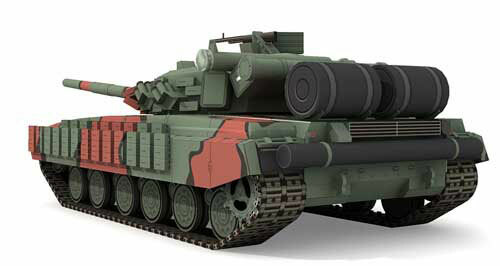 The order to develop a model derived from the 434 with the same engine gave the obyekt 438, later renamed as obyekt 439. 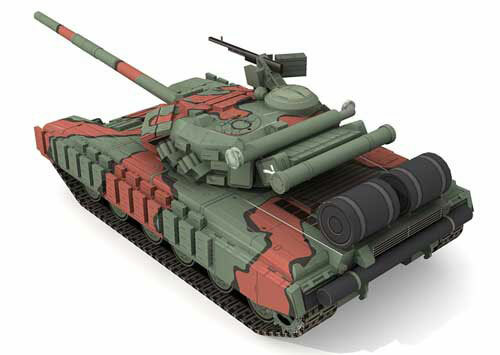 Four tanks of this type were built and tested in 1969, which showed the same mobility as the production version, but mass production was not started. 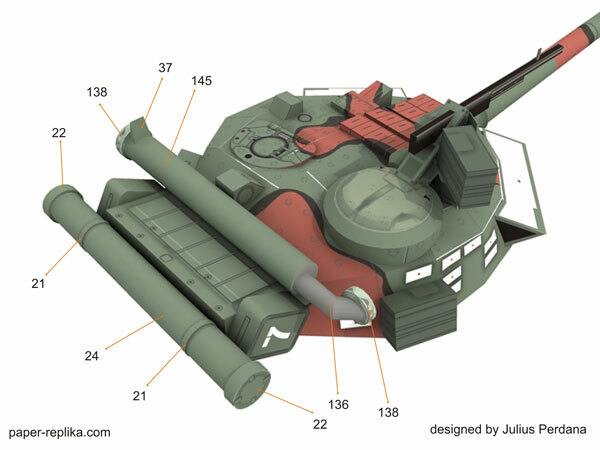 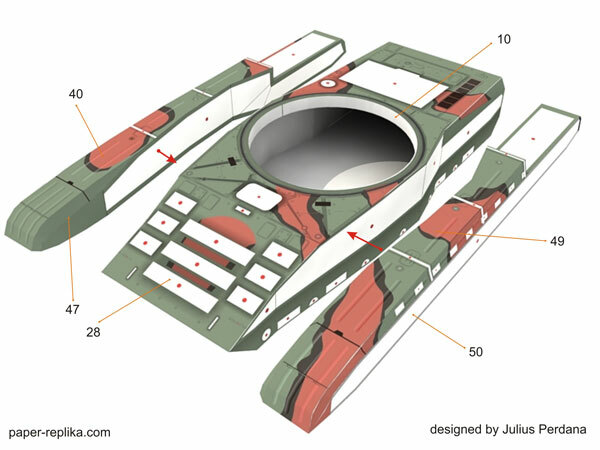 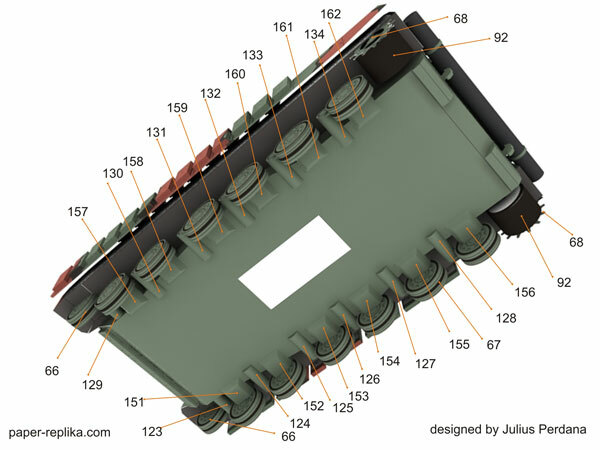 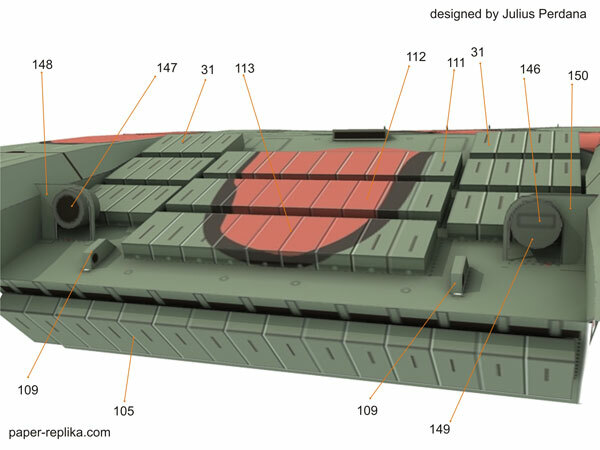 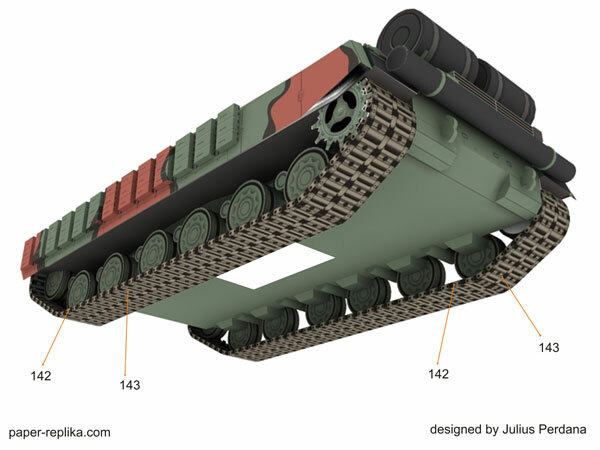 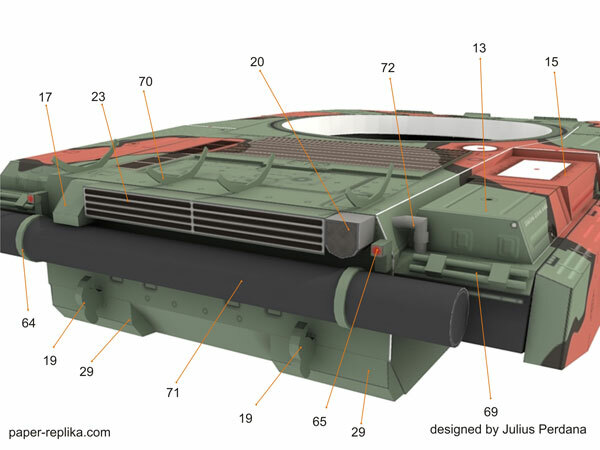 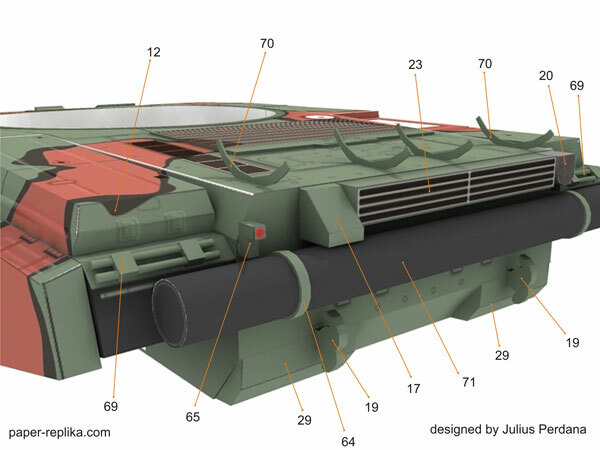 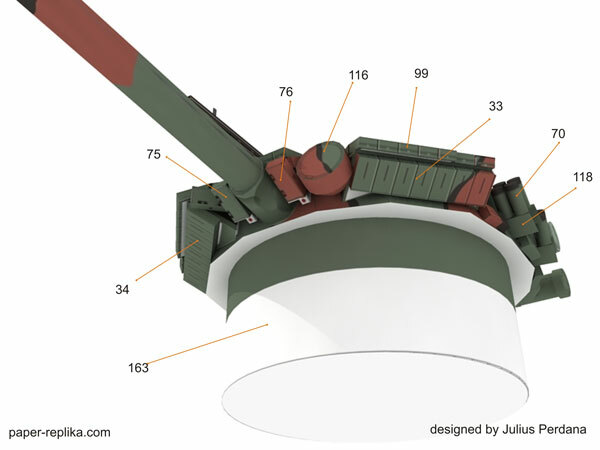 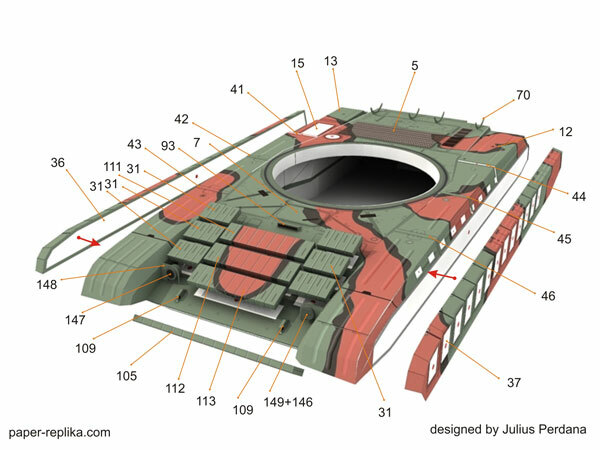 They served however as a basis for the design of the T-72 engine compartment.